Refrigerator noises might be an indication of worse problems. Don’t overlook fridge problems. This is the main appliance in every kitchen and any related problem might threaten your health. When you need refrigerator repair Central LA services, don’t hesitate to ask our help. We offer full assistance, immediate support and affordable services. At our Appliance Repair in Central LA, the staff is friendly and knowledgeable. If you have questions about your refrigerator, call us. If you suspect problems, make an appointment with our local fridge technician. Customers in Central LA can rely on the professional fridge expertise of our refrigerator technicians. 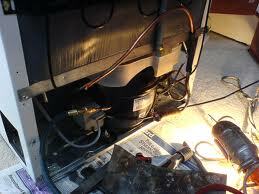 Each professional in our team is certified and skilled to find the problem with your fridge and offer full services. We respond in a timely manner in order to troubleshoot urgent problems and take care of them. No issue is innocent enough when it comes to these appliances. Any problem with worn and broken parts will reflect on the way the appliance functions and nobody can afford poor food refrigeration. That’s one of the reasons why we provide quick refrigerator repair in Central LA. We try to help you on a same day basis. With fast refrigerator repair, problems related to the evaporator, compressor, filters and any other fridge part are immediately fixed. There are always extra components of the best quality and major manufacturers in California stocking our service vans. So when there is need to replace something broken, including the door gasket, the replacement is done quickly. Your fridge works non-stop and regular service will help it last longer and function much better. Regardless of your refrigerator’s brand and type, our experts offer thorough fridge service. We check every part, clean the appliance’s filters and coils to make it stronger, make necessary replacements and adjustments, and tune up the whole mechanism so that it will work fine. With our regular service and quick fridge repair, your appliance won’t cost you much in energy consumption and hardly hassle you with any serious problems.